Take out a subscription to Ancient Warfare magazine, which is the only English language magazine to deal with the military history of the ancient Mediterranean. Every issue in a subscription to Ancient Warfare magazine is packed with articles around a different central theme, photography of original artifacts, exclusive artwork and maps. Ancient Warfare magazine is read by historians, wargamers, modellers and reenactors. A subscription to Ancient Warfare is suitable for readers at many levels - it does not bow down to its readers, but you don't need a PhD in ancient history to understand what is going on either. 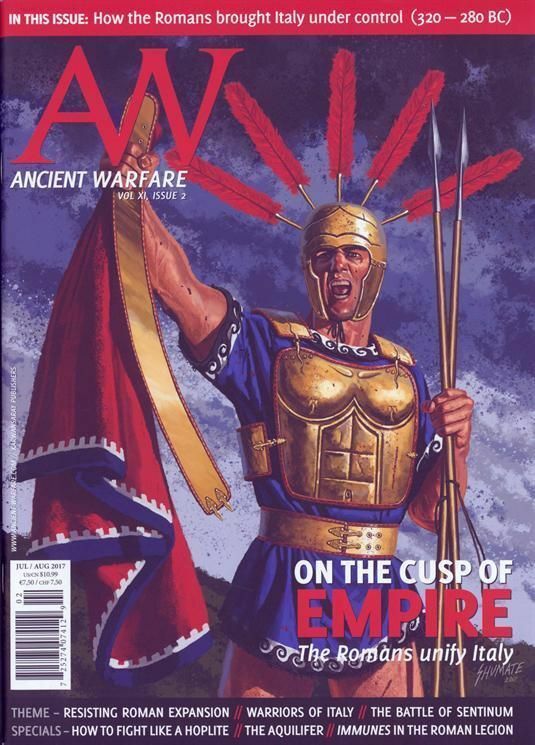 Within the pages of each installment in a subscription to Ancient Warfare magazine you will find in depth and excellent articles, news and information, authoritative and independent reviews, exciting games an dmodels, quizzes, readers letter and lots more. So if you are a history buff, or want to know more about ancient Mediterranean warfare, then a subscription to Ancient Warfare magazine is not to be missed.